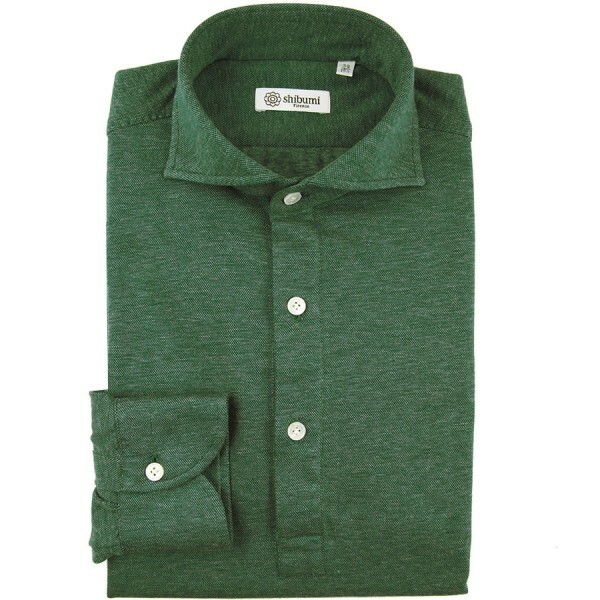 Product information "Long Sleeved Polo Shirt - Wide Spread - Forest Birdseye - Cotton / Cashmere - Regular Fit"
Finest Italian cotton/cashmere piqué with a subtle birdseye pattern. Our wide spread collar with make for a casual, but refined look. Dressy enough to wear with a sports jacket or even a suit, these are the perfect choice on weekends or vacation. On top of our usual handwork, all our polo shirts have hand rolled hems and even hand sewn side seams. You will be hard-pressed to find a nicer polo anywhere. Related links to "Long Sleeved Polo Shirt - Wide Spread - Forest Birdseye - Cotton / Cashmere - Regular Fit"